A fictional treatment of the Russian composer Dmitri Shostakovich (1906-1975) and his long history of humiliation and persecution under Soviet rule. “Muddle instead of music,” read the headline in Pravda after the 1936 performance of Shostakovich’s opera Lady Macbeth of Mtsensk. Under Stalin’s rule, this signified more than just a bad review—it was a loudly broadcasted command to stick to the Communist Party line and, amid purges and gulags, tantamount to a death threat. 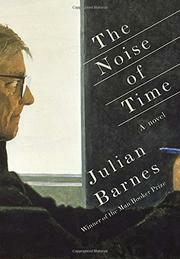 This brief novel from the Man Booker Prize–winning Barnes (The Sense of an Ending, 2011, etc.) captures the cloud of fear the composer lived under until his death, regardless of whether he was in or out of favor with “Power” with a capital P. He delivered speeches he didn’t write that made claims he didn’t agree with, and he acceded to demands he allow a tutor to school him in Soviet doctrine, while laboring to compose music that wouldn’t offend but still indulged his creative spirit. All of this took a toll on him, of course, and Barnes captures his subject’s stress and dark humor with his signature grace. There's plenty of sharp imagery depicting Shostakovich’s bind: “He swam in honours like a shrimp in shrimp-cocktail sauce” captures the putrescence of acclaim that's a function of politics; elsewhere, he conceives of life as “the cat that dragged the parrot downstairs by its tail; his head banged against every step.” But this portrait also feels too restrained at times. While Barnes willingly gets into Shostakovich’s head when it comes to his painful submission, he generally elides how he composed music under those circumstances. That softens the sense of artistic loss in a story that might have sent a stronger signal about what happens to creativity in repressive circumstances. A moody, muted composition about art under the thumb of tyranny.